As announced earlier, since August 1st, 2018 Shotwell cannot publish to Facebook any more. The API that Shotwell used for that was removed and it is currently not clear to me how developers that do not use Android, iOS or Facebook’s web SDKs should provide similar functionality. Another “On the way to” post for Shotwell. 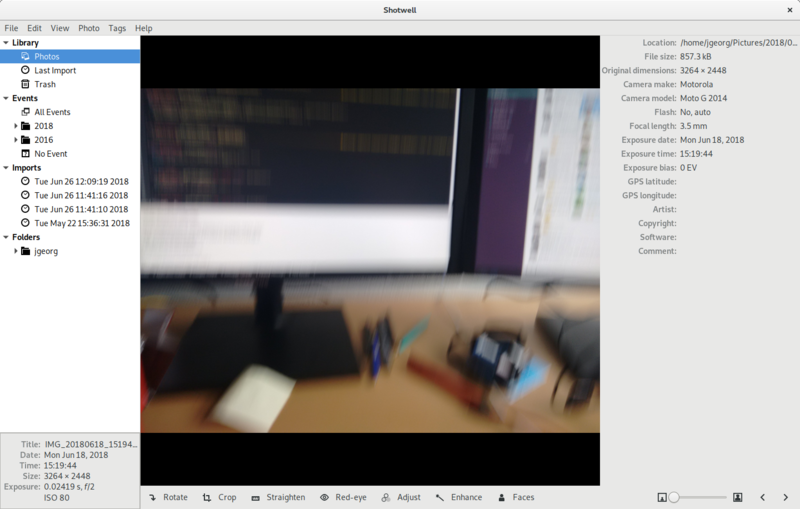 There is now a nightly flatpak for Shotwell available. You can use this flatpakref for installation. To protect your database, it will work on its own private database. If you really want to work with your current data, I have described a way to make it access your normal Shotwell database in this comment on issue 6. The upcoming unstable flatpak as well as any potentially stable flatpaks on flathub will have the access enabled by default, though. The nice benefit of the flatpak is that you will have access to the latest versions on Ubuntu 16.04 again. In fact that’s how all the screenshots below were done. A note to snap enthusiasts: There is some preliminary work available at https://github.com/phako/shotwell-snap (not from me, I just made a minor fix) which unfortunately I could not even convince to compile anymore. If anyone wants to pick up from there, you are definitely welcome to do so! Yes, there is a dark theme variant now. If you don’t like it, you may switch it back to the light theme in settings. Face detection is available in the main line again. I have merged it to master after Ricardo took the code and massaged it to apply again after recent Shotwell changes. Due to the persisting issues, main one is that it has slightly bad UX, it is disabled by default currently. The flatpak has it enabled, if you want to check it out yourself, use -Dface-detection=true when calling meson. There is work going on to improve the user experience of the face detection as well as improving the face detection itself. I am really looking forward to the outcome. Facebook integration will likely cease to work August 1st, 2018. This is due to the recent changes in the graph API. The current permission Shotwell uses to upload images is no longer supported. I think that I will not have the time to fix this in time for the API shutdown. Sorry about that. Shotwell 0.28 “Braunschweig” is out. Half a year later than I was expecting it to be, sorry. This release fixes 60 Bugs! 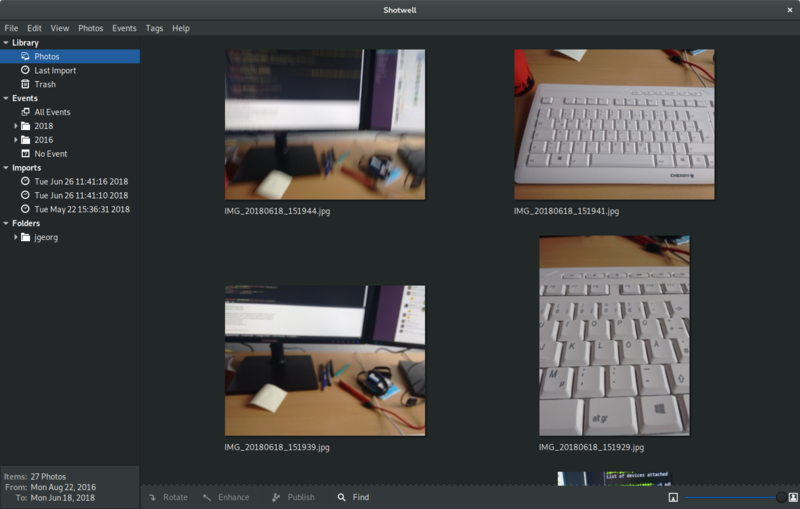 Get it at GNOME’s download server, from GIT or in the Shotwell PPA really soon™. A big thank you to all contributors that make up all the bits and pieces for such a release. We removed F-Spot import. I believe that this is not necessary anymore now. While we’re still 30s behind hand-written make, I totally would use any of the two over hand-written Makefiles. As you might have noticed, meson is the new kid on the block. 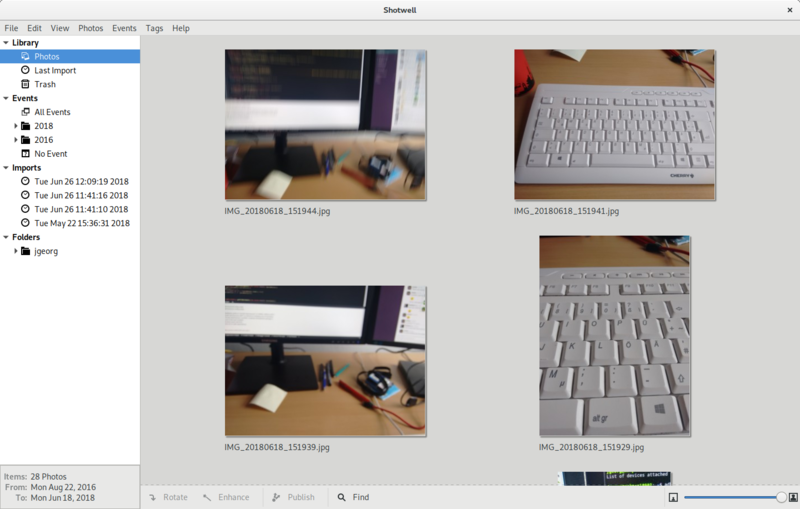 Step by step I am currently converting some projects to it, spearheading Shotwell. Since Shotwell only “recently” became an autotools project, you may ask why. Shotwell had a hand-written makefile system. This made some tasks that would have been incredibly easy with autotools, such as mallard documentation handling, more complicated than it should be. 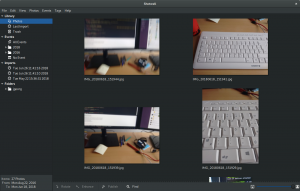 Since autotools provides all the nice features that you want for your GNOME environment, it made sense to leverage that. Here are some numbers from the various transition phases. All taken on my i5 X201 laptop. 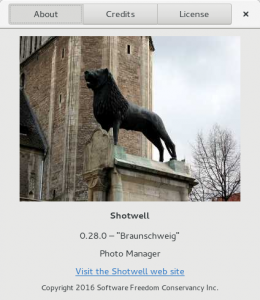 Shotwell 0.26.0 “Aachen” was released. No “grand” new features, more slashing of papercuts and internal reworks. 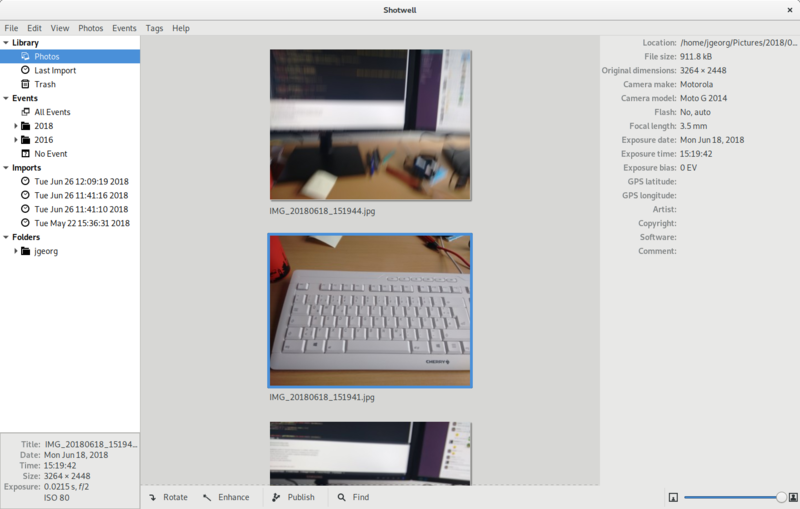 I removed a big chunk of deprecated functions from it, with more to come for 0.28 on our way to GTK+4 and laid the groundworks for better integration into desktop online account systems such as UOA and GOA. GExiv2 also received a bugfix release with its main highlight of proper documentation generation. In Rygel, things are more quiet. Version 0.34.0 moved some helpful classes for configuration handling to librygel-core and a couple of bugs were fixed. GSSDP and GUPnP also saw a small bugfix release. I will take part in a little experiment with a couple of friends, trying this newfangled technology thingy with games and stuff. So tonight, Feb 14th, 2017, 20:15 CET, we will try to release our inner Bernhard Langer and amaze you with our virtual golfing skills! Come and watch LIVE, in color and whatnot at https://twitch.tv/phako78 (that’s with a camera pointing at me) or https://twitch.tv/fallenbeck (that’s with a camera pointing at someone else) – Unfortunately, except for some swearing, it’ll be German language only. First, a wrap-up of the last Quiztime. For an excellent explanation of the issue, read this comment. Also note that this is not the most nice way to do plugins with C++, it’s a boiled down piece of code I debugged. I’m not sure if there is some confusion about the current development model of Shotwell. I noticed that some distributions seem to try to pick up the current development branch (0.25.x). I strongly advise against that at this point in time. It has just seen a major change in the Menu handling code and might still have severe usability regressions. While I appreciate any testing of the code, I would really not have the current unstable version of Shotwell stuck in a released distribution. If you want to try those releases on Ubuntu, there is an unstable PPA available. So to sum up: Shotwell follows the “traditional” version scheme of “Odd is unstable, even is stable” and roughly tries to stick to the GNOME release schedule. So, following up from the last quiztime which was about the importance of explicit linking, another case from the wonderful world of shared libraries. This time we study the implications of dlopen, its parameters and C++. Consider the program and module below. If you run that, it will crash somewhat obscurely in libstdc++. Why? I have released 0.25.0 on Monday. A new feature that was included is a contrast slider in the enhancement tool, moving on with integrating patches hanging around on Bugzilla for quite some time. A second enhancement that was introduced is the option to override invalid SSL certificates. This is currenly only available in the Piwigo publisher and might be added to Gallery3 in future, i.e. all services that might be self-hosted on self-signed cerfificates. 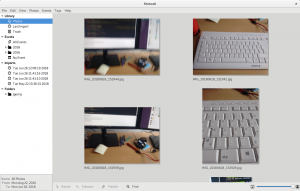 0.25 introduces the support of reading ACDSEE’s proprietary image tags such as titles, categories and hierarchical tags!